In addition, the new 8-tap portable brewery bar will pour variants of the Secret Spot and additional special tappings. 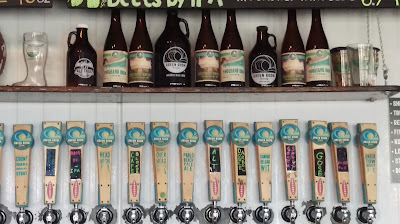 If you've ever been to a Green Room release party, you know that there are usually flavors of vanilla and coffee flowing from the special taps. Yes, those popular treatments will be available for this year's Secret Spot, along with Double Barrel whiskey and rum versions. What's new this time around is that these versions will also be available in bottles for the first time (can you say "get in line early?"). Food truck Just Doggin' It will be on site, and Firewater Tent Revival will play some foot-stompin' music later in the day. Special edition anniversary t-shirts will also be available. 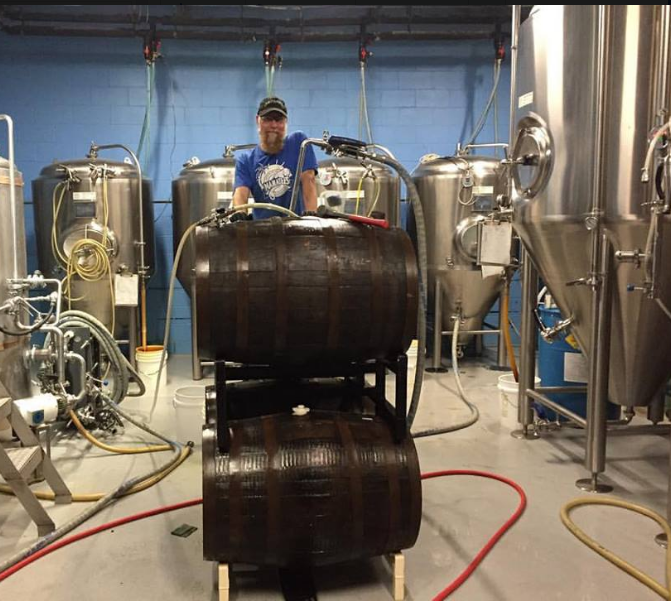 The Secret Spot has been aging in its barrel homes since earlier in the year. 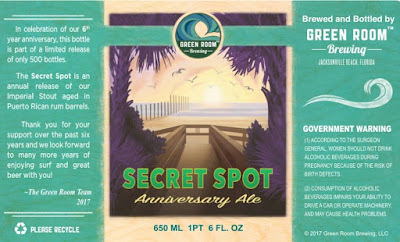 Last year's fifth anniversary also coincided with Green Room's 1000th batch of brewed beer, the "Thousand Beer Storm" (see last year's anniversary preview story for more info and background on the brewery, along with the meaning behind the Secret Spot name). 2016 Anniversary Secret Spot: hmmm, which flavor was that? While we may have to wait just a bit longer for No. 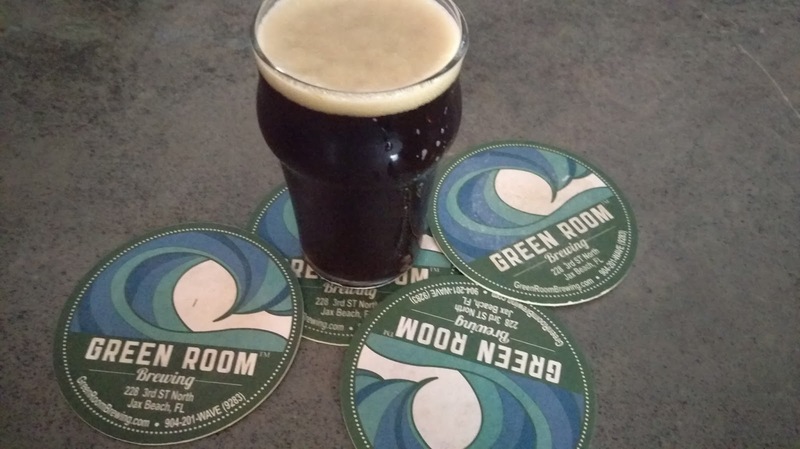 1300 and the next installment of the Beer Storm series (the brewery released its 1200 Beer Storm DIPA this past April; yes, it was pretty amazing, and yes, that's speaking from personal experience), there is plenty of Green Room news to get excited about. For roughly the past year-and-a-half, Green Room has been planning and working on an expansion project, and major changes are already underway. Around 1000 square feet of space has been added to the rear of the building. 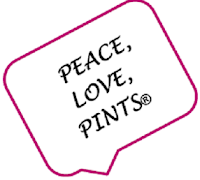 Following the Anniversary, more construction will take place, as the brewery removes and replaces the existing restrooms with larger ones, says brewery Co-owner and Head Brewer Eric Luman. But, that's not all -- the bar area will also be transformed. 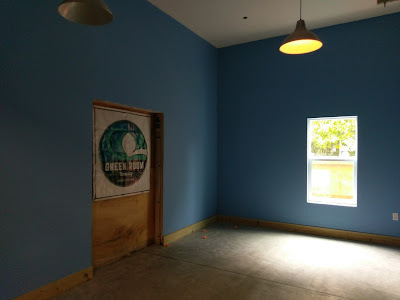 The current walk-in cooler behind the bar will be removed in favor of an 18x30 exterior walk-in cooler, allowing for the bar to open up into the current rear space. When it's all finished, the new addition will allow for an expanded tap room area, new offices and an enlarged brewhouse space. The 7-barrel brewhouse will gain fermenters, which will double production capacity, says Eric. 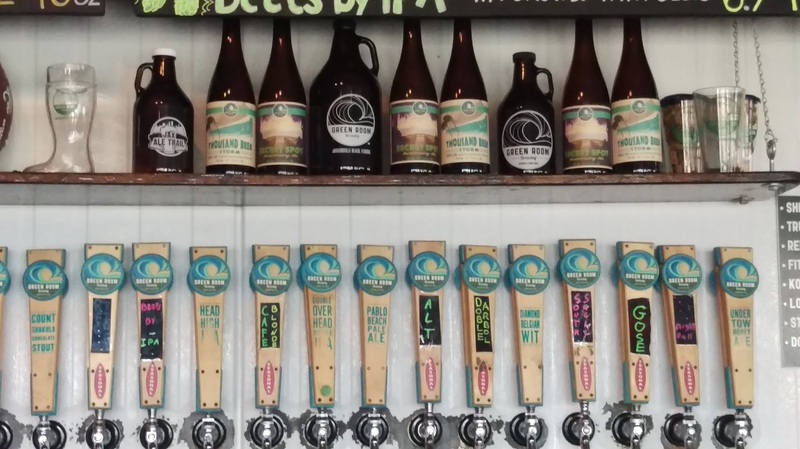 While this increase may result in more beer going into distribution, Eric points out that "we hope to focus on more bottle releases and having our core beers available in bottles for purchase in the taproom." 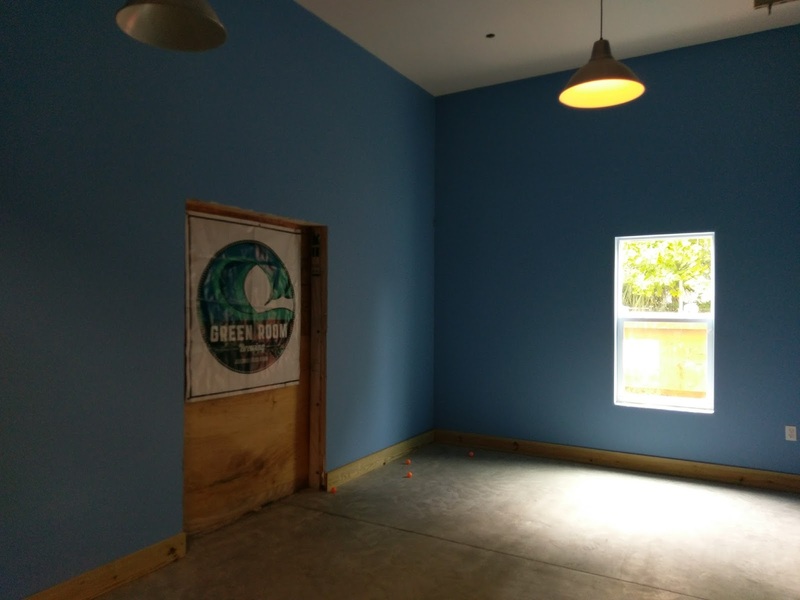 The renovated bar area will also feature a new Crowler canning machine, Eric adds. 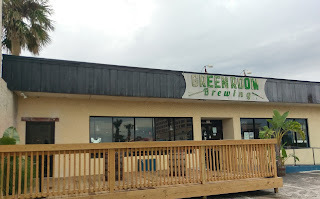 Lastly, Hurricane Matthew barrelled in on Green Room's exterior parapet last fall, requiring a rebuild and new signage, which are also in the plans. When Green Room celebrates its Seventh Anniversary next year, things will look quite different at the Jax Beach brewery. 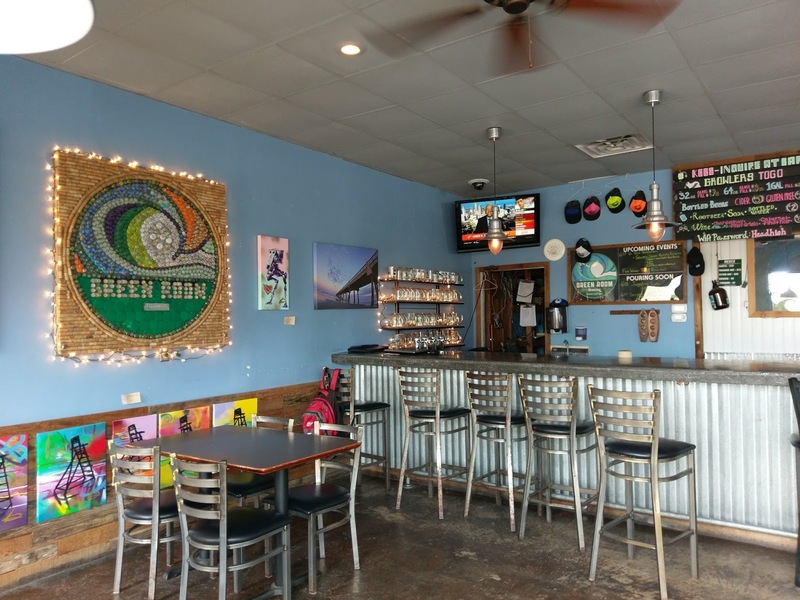 Green Room Brewing is located at 228 Third Street North. Green Room Mug Club members will get an early chance to purchase the new Secret Spot bottle releases on Friday, June 16, beginning at 4pm. Get ready to barrel in on a good time at Green Room Brewing!